Jumbo, a heavy lifting, shipping, offshore transportation and installation contractor, has been developing groundbreaking solutions for ocean transportation for more than 50 years. Since 2003, Jumbo has been increasing their heavy lift capability and rapidly established a sound track record in the offshore subsea installation market. One of the developments in the field of software applications is the use of Mixed Reality, combined with the Microsoft HoloLens. Jumbo will include the deployment of Microsoft HoloLens in their business processes and wanted to give its customers insights into the benefits that can be gained. 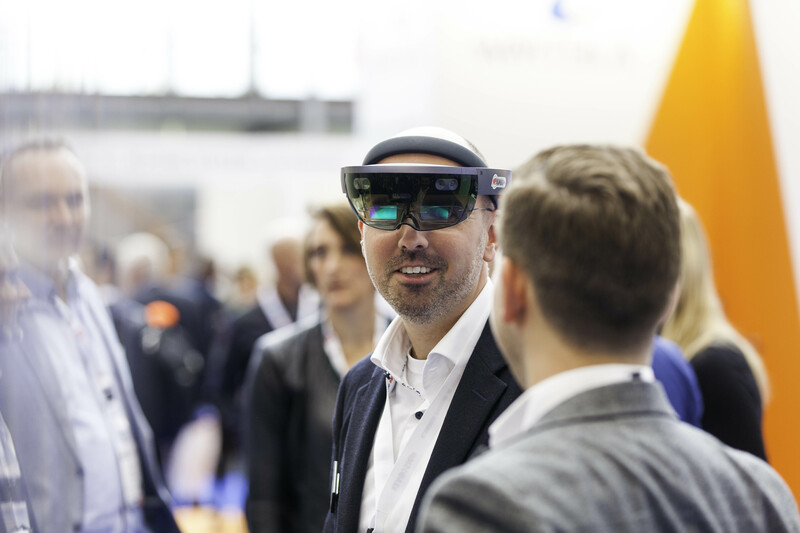 Ralph Jansen, application manager at Jumbo, says: "We are very close to using the Microsoft HoloLens operationally on our ships, so we were keen to show our customers at the offshore energy exhibition exactly what we are doing in this area." Recreate undertook a project to develop the app for one of the top 6 players in the Dutch construction industry and this is how Jumbo became aware of its existence. "Recreate has developed this app in a very professional manner and in a short time and it fits in perfectly with our requirements", says Ralph. "With this app, we can let our customers experience the operation of the Microsoft HoloLens. We can also present our new offshore vessel in a special way. "The app has been developed in Mixed Reality. Mixed Reality anchors virtual objects, such as a vessel, to a point in the "real world" that makes it possible to view objects as reality. For example, the exhibition visitors view the new vessel in virtual cross sections that can be made visible with a hand gesture or voice control. Roy Kamphuis, CEO of Recreate, is pleased with the positive results for Jumbo: "The participation of Jumbo in the offshore exhibition was even more successful than in previous years. By presenting the new vessel which is to be built in Mixed Reality, more visitors were interested. The deployment of the Microsoft HoloLens has contributed to high visitor numbers”.